Aquatel's custom made 7 Element Yagi Antenna complete with 6m (18foot) cable and RP-SMA connector, guarantees to give you the best performance possible when used with our products. The Antenna gives up to 10.5 dbi gain and should always be mounted on a mast or roof at least 1.5m (5 foot) above the ground. This Antenna will increase your effective range up to 10km (6miles) if used at both ends. The AQ920-7 Antenna is tuned to our products frequency hopping band, designed for use within the Middle East, Asia, USA and Australia. 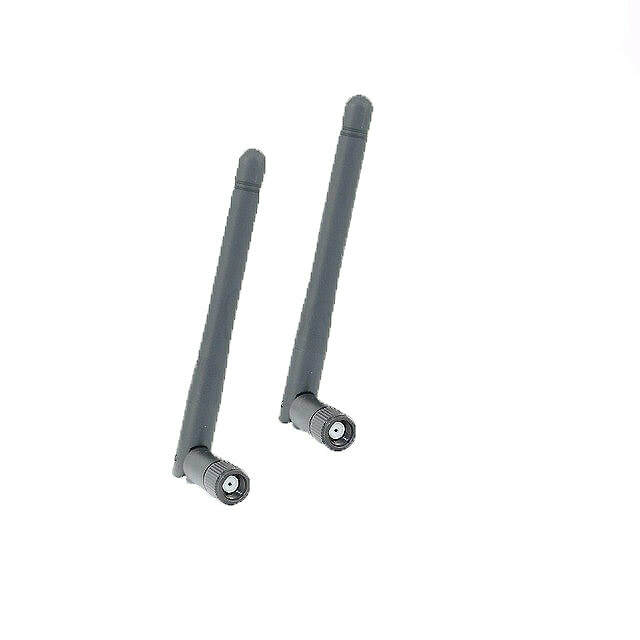 Aquatel's custom made AQ932 Omni Directional antennas guarantee to give you the best performance possible when used with our products. RP-SMA 2.5dbi Gain, 920Mhz, this kit includes 2 x AQ932 antennas. The AQ932 Omni booster antenna is approximately 4 inches (100mm) in length and tuned to our products frequency hopping bands, designed for use within the USA, Australia & New Zealand.